Determining whether stories about North Korea are true or false means delving into a very wide, grey area where the genuinely surreal mixes confusingly with the patently absurd. For example, which of these reports about leader Kim Jong-Un appears -- at least on paper -- the more likely? That he executed his uncle by feeding him naked to a pack of starving dogs, or that his birthday celebrations in Pyongyang were led by a serenade from a former cross-dressing, NBA all-star with a penchant for facial piercings and celebrity wrestling? 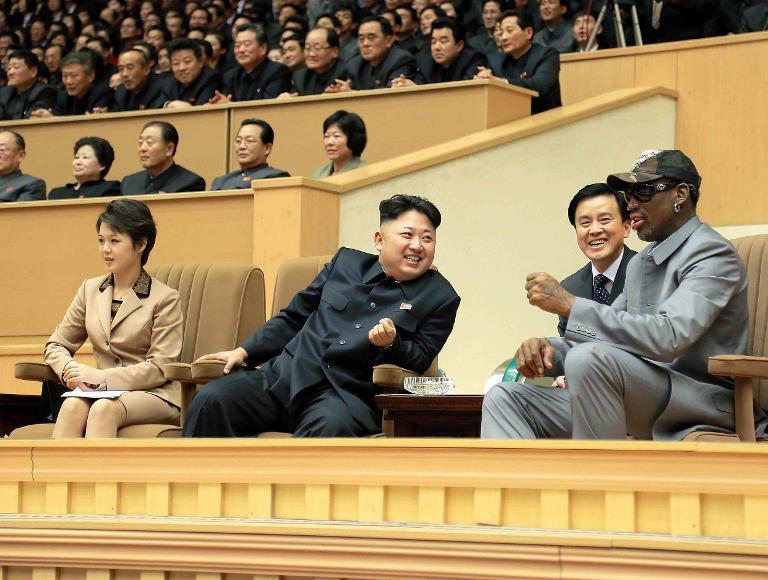 The latter is borne out by a YouTube video showing ex-Chicago Bulls guard Dennis Rodman's off-tune rendition of "Happy Birthday" before an exhibition basketball match watched by Kim on Wednesday. On the other hand, the death-by-dog story, which was picked up by some international media, was apparently based on a satirical tweet posted on a Chinese website. This was then picked up by Chinese newspaper Wen Wei Po, leading to shocked headlines in the Western media. Differentiating fact from fiction is particularly difficult when it comes to North Korea given the country's profound isolation, which makes any story not sanctioned by its highly secretive regime almost impossible to verify. 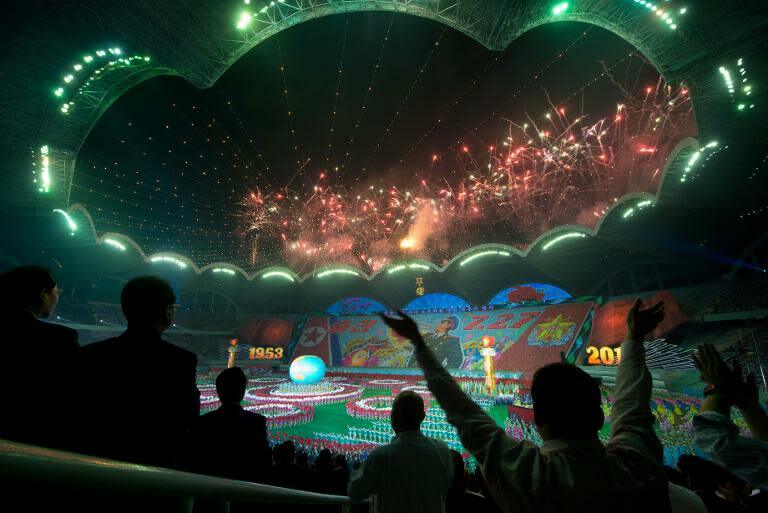 At the same time, international interest in what goes on in North Korea is enormous, especially when it comes to sensational stories that satisfy a widespread perception of the country as brutal, backward and bizarre. These factors combine to create a cavernous media echo chamber that provides resonance and substance to rumour and speculation. Elements can then be cherry-picked and put together into a sensational news item, as happened with the rumours swirling around Kim's purge and execution of his uncle and political mentor Jang Song-Thaek last month. Kim Jong-Un had his elderly uncle, who had an affair with Kim's wife, fed naked to a pack of 120 starving dogs, thereby inducing a heart attack in his aunt who now lies in a vegetative coma. 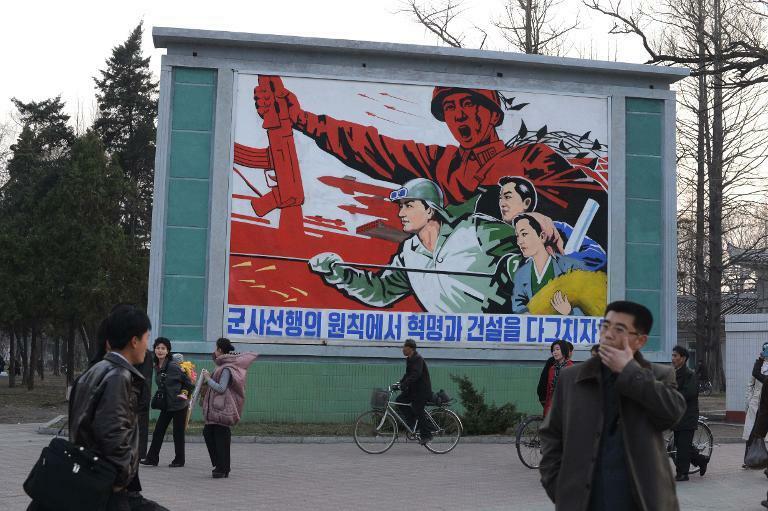 A number of these elements originated from the mainstream South Korean media and North Korean defector-run websites -- both of which, analysts note, have a vested interest in painting the North and its leadership as a source of unimaginable horror. Choi Jung-Hoon, director of the Free North Korea radio station in Seoul, said the media frenzy surrounding Jang's execution had proved particularly fertile ground. "News from such a closed country like the North still remains limited ... leaving unconfirmed speculation to fill the void," Choi, himself a defector, told AFP. "People are just imagining what they believe may go on in North Korea -- a weird, wild place where apparently anything can happen," said Choi, who fled his homeland in 2007. "Sometimes the picture they draw is so ridiculous, so different from the country I lived and know." But North Korea is complicit in fostering the atmosphere that generates the sensational headlines. Its relentless bolstering of the personality cult surrounding the ruling Kim dynasty and its apocalyptic, high-decibel threats of nuclear war are mostly meant for domestic consumption, but are nevertheless pounced on by the rest of the world as evidence of a country driven by paranoid delusion. The language used by the state media in denouncing Jang was especially breathless and colourful, accusing him of womanizing, drug-taking and general decadence, and labelling him "despicable human scum... worse than a dog". Such hyperbole is the default setting for North Korean propaganda and its tone only serves to lend credence to the more outlandish stories published about the regime. As well as ravenous dogs, other reported methods of execution in North Korea have included flamethrowers and mortar shells. The North's refusal to deny or confirm most reports helps keep the rumour mill turning over, although it has taken umbrage at some stories concerning Kim Jong-Un. A report that Kim had undergone plastic surgery to look more like his grandfather, North Korea's founding leader Kim Il-Sung, was denounced by state media as a "hideous criminal act". It also threatened to kill the authors of a story that Kim used Adolf Hitler's memoir "Mein Kampf" as a leadership guide, and condemned reports that it had executed several state performers by machine-gun to cover up the allegedly decadent past of Kim's young wife. Kang Chan-Ho, a senior journalist and a North Korea specialist with Seoul's liberal Hankyoreh daily, said many stories were concocted by the North's critics. "Some defectors tend to mix their own personal sense of grievance against Pyongyang with rumours that can never really be verified," Kang said. "News media amplify these unverifiable stories to cater to their readers who like to read such wild stories about the North," he added.